Aimix Group Co., Ltd is a company specializing in the research, design and production of mining and construction machinery for nearly 32 years. We provide the most reasonable solution according to the special demand from different customers. Our main products for construction machinery are as follows: Concrete Batching Plants, Concrete Mixers, Concrete Pumps, Stabilized Soil Mixing Plants, Dry Mortar Plants and so on. With several researching and producing bases in China, we can provide the powerful technical service and upper quality machinery for the clients all over the world. 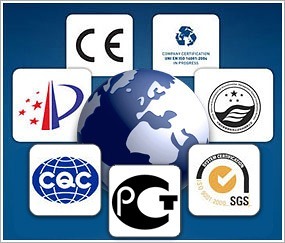 All of our products are produced according to the International Quality Standards, such as CE from Europe. The management of our company is strictly operated by the ISO 9001:2000 quality management system. We are a designated manufacturer for China’s Construction Machinery Association and the key supplier of concrete batching plant in Henan Province. Renowned for our strict quality control and considerate service, our company is always appreciated by the customers from home and abroad. Till now, our machinery have been sold to many countries in the world such as Colombia, Bolivia, Brazil, Venezuela, Ecuador, Russia, Philippines, Vietnam, Libya, Ghana, India, the United Arab Emirates, Saudi Arabia, Syria, Brazil, Nigeria, South Africa, etc. We have had a large share in global market and enjoyed a great reputation in the world.